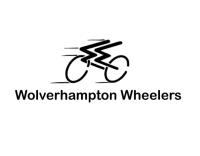 Founded in 1891 the Wolverhampton Wheelers Cycling Club is the Oldest in the City of Wolverhampton and surrounding area, and one of the Pioneering clubs in the birth of Cycle Sport nation wide. Now the only club in Wolverhampton with the much coveted Sport England Clubmark award, recognising the clubs superb work with youth development, and the development of the sport of cycling in the City of Wolverhampton and its surrounding areas as a whole. We are a true club, run by the members, for the members. Whether you’ve just learned to ride, a weekend leisure rider or an experienced "bikie" we offer a full range of activities in all these disciplines: Leisure/Family Rides, Youth Events, Touring/Audax, Road Racing, Time Trials, Mountain Biking, Track Racing and Cyclo-Cross! Our Cycling Club and caters for all ages and abilities, with members from 5 to 85. We also host a healthy Social calendar with many varied non-cycling related themes. We are also a British Cycling "Go Ride" club catering specifically for younger riders. You are assured of a warm and friendly atmosphere among fellow cyclists of all ages and interests so if you like what you see here, come and meet us. For further information about our club please get in touch with us. If you are interested in becoming a member please visit our website for joining details and prices.